Unlike the doomsday predictions of a time when an autonomous workforce relieves us of our jobs as marketers, the Launchpad app empowers us to spend more time focused on growing the business rather than managing it. *The Launchpad app is available to Shopify Plus merchants only. 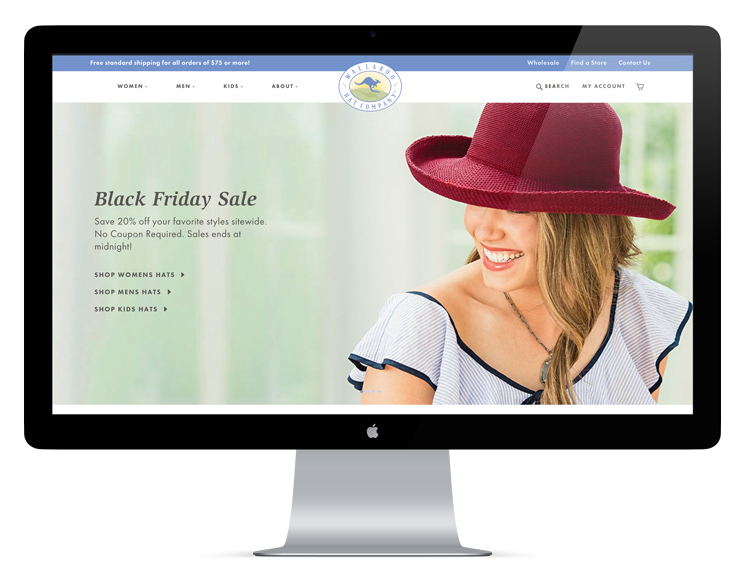 We recently used Launchpad to execute a holiday sales campaign for Wallaroo Hats, a Colorado-based hat company, that eHouse Studio executes the email marketing strategy for using Klaviyo. After putting the final touches on the recent eCommerce migration of wallaroohats.com from Drupal to Shopify Plus it was time to think about Black Friday & Cyber Monday strategy. What a better opportunity than this to automate the promotions process with Launchpad over the holiday weekend! Seamlessly run two entirely different promotion strategies back-to-back without having to have team members wake up at midnight to swap out banner graphics and launch sitewide sales. Develop a marketing strategy that connected with their customers in a way that would drive more traffic to the site and sell more products. Help the Wallaroo team increase efficiency when returning from the holiday weekend to start the order fulfillment process. Make the shopping experience as simple as possible for their target audience who take fashion style and sun protection seriously. Limit the number of customer service related issues the team would have to work on resolving after the promotion had ended once they returned to the office on Monday. There is nothing worse than an inbox full of customers who couldn't figure out how to use a coupon. Spend less time working over the holiday and more with family and friends while still exceeding revenue goals. In the next section, I break down a few of the thought processes behind the key features in this campaign. 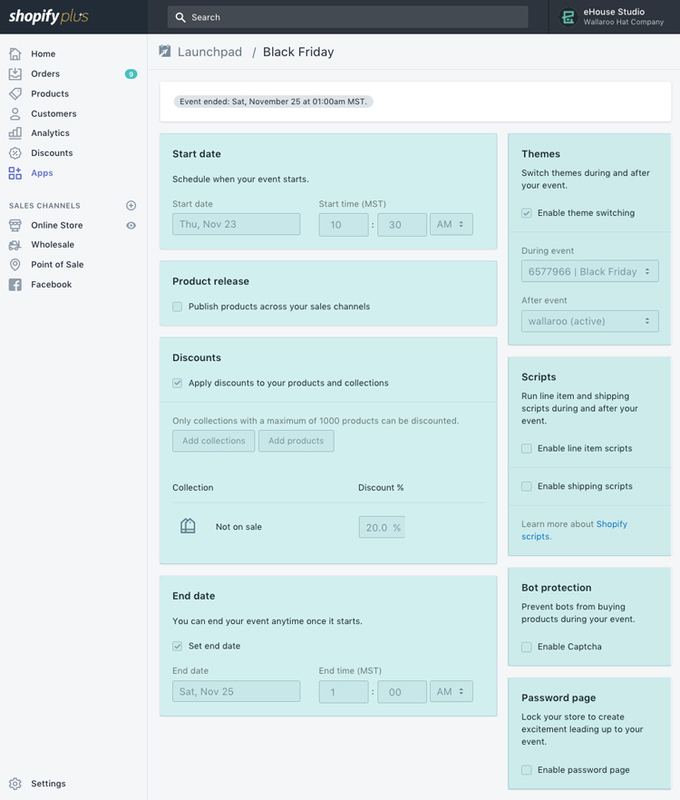 Once you've started to create a new event you'll be taken to this screen where you'll find the launchpad features neatly packaged into 8 sections which I've highlighted below. The ability to automate the start and stop times of the promotions was a crucial element that allowed us to get things tested early and align with an off-hours schedule. Honestly, no one wants to be waiting up until 3 AM to make these changes to the eCommerce site. Another benefit we took advantage of was the ability to bulk discount all products by applying it to a collection that was all inclusive. Or if you'd like to discount by product that is also an option as well as a combination of both. 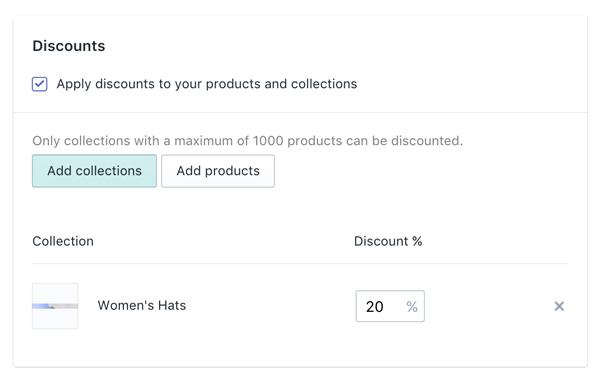 Considering their customer demographics it made sense to stay away from coupon codes which have the potential to add additional steps during the checkout process. We opted to not utilize coupon codes in an effort to streamline the checkout process. Note: While Launchpad now allows you to discount up to 1000 products when it first launched it was limited to 250. This is a prime example of Shopify's ability to quickly adapt to meet eCommerce merchants needs in the rapidly changing online consumer landscape. 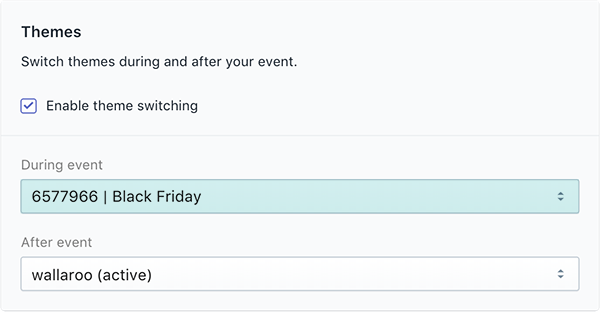 It was a no-brainer that we would need to support our Black Friday and Cyber Monday eCommerce promotions through email marketing to drive traffic to the site. The ability to swap themes was a crucial feature that made it easy to replace the existing store with a cloned version that had the holiday sales promotional features - banner images and discounted products. We used this feature to replace the themes for both Black Friday and Cyber Monday promotions. Shipping Scripts are another feature that was particularly helpful during the Cyber Monday promotion. This Launchpad feature allowed us to automate the process of updating the shipping rate from free for orders of $75+ to free for all orders. Although the offer of 10% off + free shipping was really straightforward, the normal process of updating the shipping setting requires manually going through the Shopify admin to make the changes. Not something we want to be doing on the fly while the promotion is being sent to tens of thousands of customers. While our goal was to automate as much of this process as possible we didn't take the Ronco Rotisserie Oven approach to set it and forget it. Our team was dedicated to monitoring the campaign throughout each of its milestones and was on standby, ready to make any necessary adjustments to ensure that maximum sales volume was captured. For example, consider the timing of your campaigns. When dealing with time-sensitive promotions like flash sales, you might ask yourself how would you adjust your campaign to accommodate a customer base that spans different time zones? This might require you to schedule supportive content like email marketing differently, in an effort to optimize delivery times for your international segment of customers. On Monday when the Wallaroo team returned from the long holiday weekend they had some work to do to get all their orders out. Black Friday and Cyber Monday sales had been a huge success. Our 5-day Black Friday & Cyber Monday promotion performed exceptionally well and is proof that you can be growing sales even when your peak sales times are during the summer months based on the products being warm weather focused. While it can be easy to boil the campaign metrics down to profit vs loss or ROI, the value of customer insight can sometimes be overlooked. With email continuing to dominate marketing channels for best ROI, growing the subscriber base is a top priority in competing in today's online marketplace. Customer segmentation metrics allows us to build out future automated email campaigns. Average Order Value, when paired with segmentation, can offer key insight for decision makers when looking at buying patterns, ad spend habits, and product pricing. And is often considered one of the most important KPIs for online and offline sales. While our campaign didn’t require the use of all the Launchpad App features this time around, we’d thought we still mention the rest here. Now if you're running a campaign throughout the year that involves dropping new products or product lines, Launchpad you can do this too. 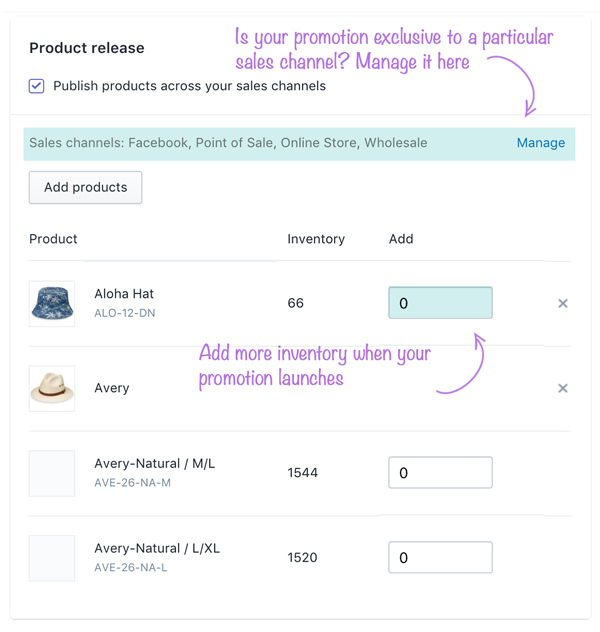 Publishing new products to all or specific Shopify connected sales channels couldn't be easier. 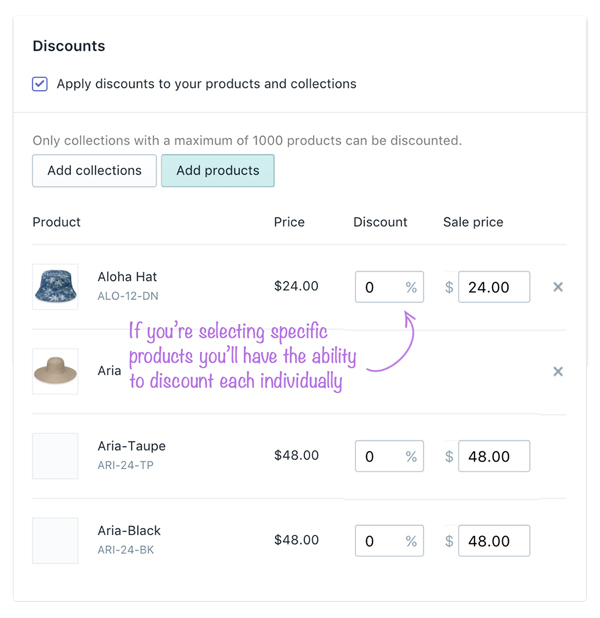 This is a feature we like to use with complex and multi-level discounting strategies. Examples include Buy 1 Get 1 For Percentage Off, Buy 2 Get 1 Free, Get Percentage off 1st purchase and more. Say you're looking to give some of your VIP customers a little special treatment or want to create a little excitement leading up to your event. Simply enable the password page feature of Launchpad and you'll be one step closer creating demand for your product. People want what they can't have. 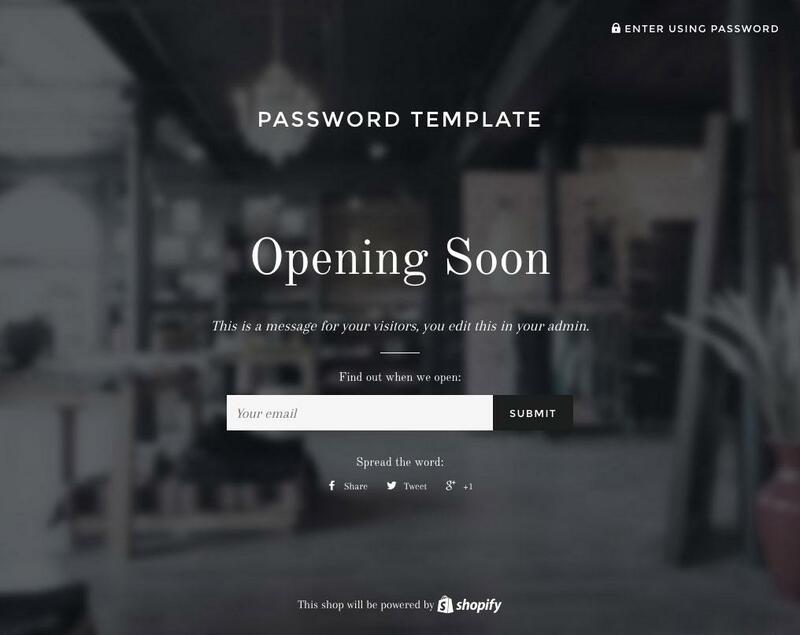 Essentially the password page acts as password protected gateway to your eCommerce store. Making it a perfect opportunity to let your most valuable customers gain early access to your event. While at the same time driving lead generation & building excitement around the event. Depending on your strategy, password pages can be enabled from anywhere between 5 minutes - 24 hours before the event launches. With Shopify Plus it is much simpler than ever before to customize an effective and efficient eCommerce platform. As a leader in today's competitive eCommerce platform marketplace, they’re committed to improving the merchant and customer experience and offer the necessary tools to do so. As a result, its thought leadership and tools like these that allow us to spend less time focused on the process and more on the strategy of the business. Are you interested in other ways to automate many of your existing Shopify Plus processes? 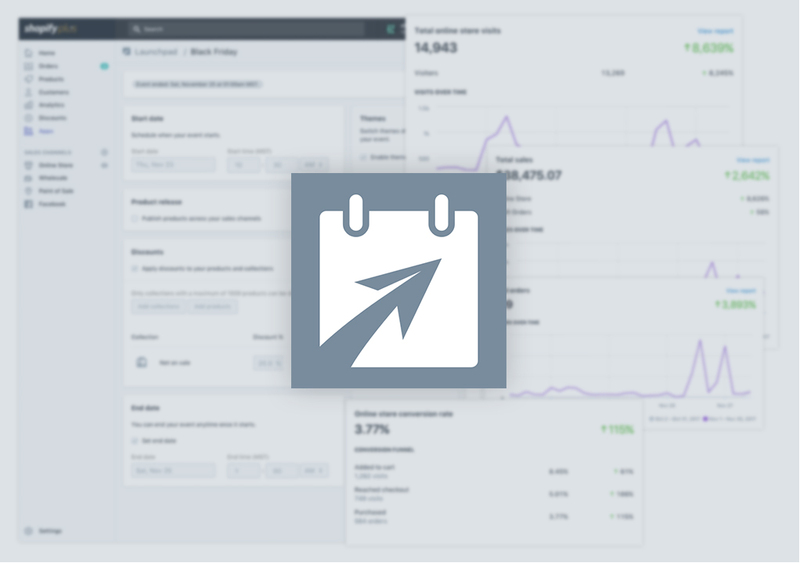 Check out our recent post on how to leverage the workflow automation of Shopify’s Flow app. If you’d like to read about how other eCommerce merchants are being successful using Launchpad have a look at these two case studies.